How do you know how much to budget for Live Music in Las Vegas? The Thurston Howlies can provide something for every budget. 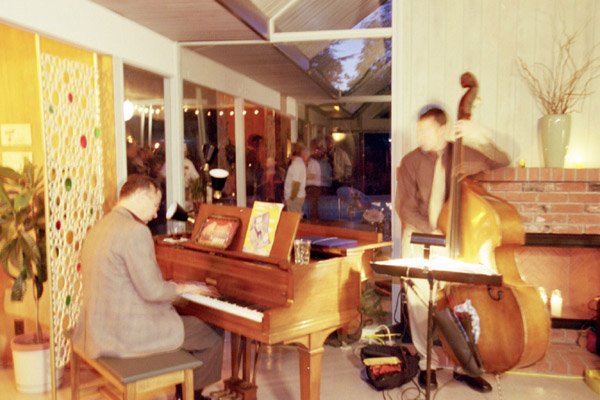 For a simple function, we can provide a basic jazz trio or jazz quartet. For larger functions we can add a saxophone, vibes, guitar, a wide range of singers, even unusual instrumentation like a Thermin! Prices vary according to number of players, hours played, location, day or week and time of year. But whatever the case, we have something to fit every budget! Whether you work with us or not, just be sure that you find someone who will offer you Versatility, Variety and Flexibility. In the event your venue does not allow amplified music, we can provide 100% acoustic music. We can provide suitable recorded music to play in between sets. We understand that planning a wedding, reception, special event or corporate function is a huge undertaking, exhausting, and can be stressful (We have been there!). Hiring a competent professional entertainment can make the process run smoother and make you smile more! So don’t forget to allow for an adequate budget for your LIVE entertainment. Think about how much you are planning to spend on the food and take that into account for your music. Folks spend from $20 to $100 on food. Figure at least $20 per person for entertainment. For a party of 100 should be a minimum of $2000+. For 200 people it would be a minimum of $4000+. For 500 people, it would be $10,000+. Food lasts for maybe an hour? Entertainment lasts for three or four hours. Which are your guests going to remember most? Live music will make the difference in whether you event is a memorable one or forgotten the next day. Let us know how we can put together the right size show and group for your next event. 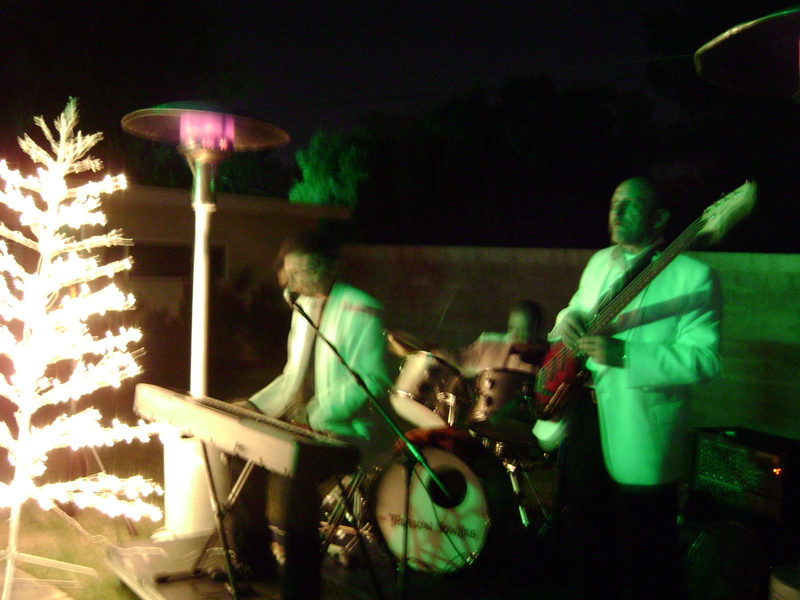 Whether you are planning a Las Vegas wedding reception, birthday party, Las Vegas corporate event or other special function – you need live music that offers more style. 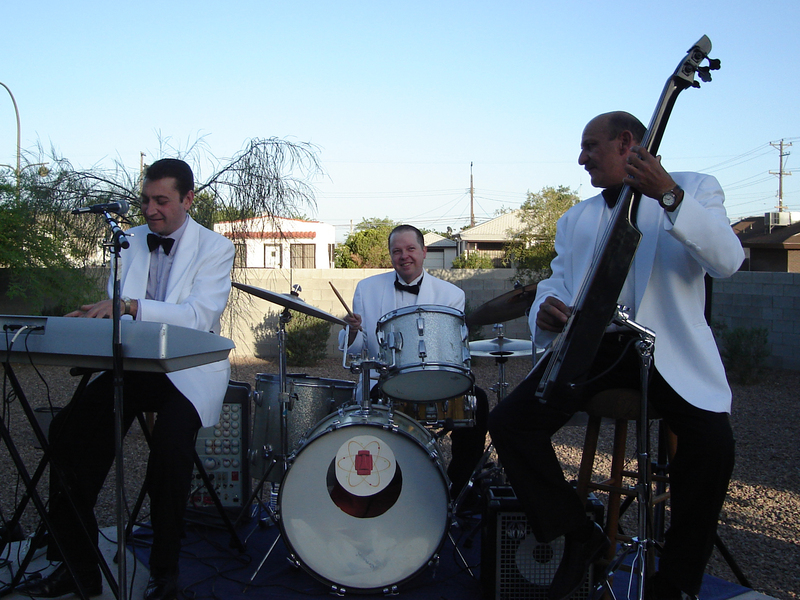 The Thurston Howlies are the ultimate Las Vegas Lounge band and the perfect alternative to cookie cutter cover bands.